The Drumbank is designed for the storing drums up to 205ltrs in size. 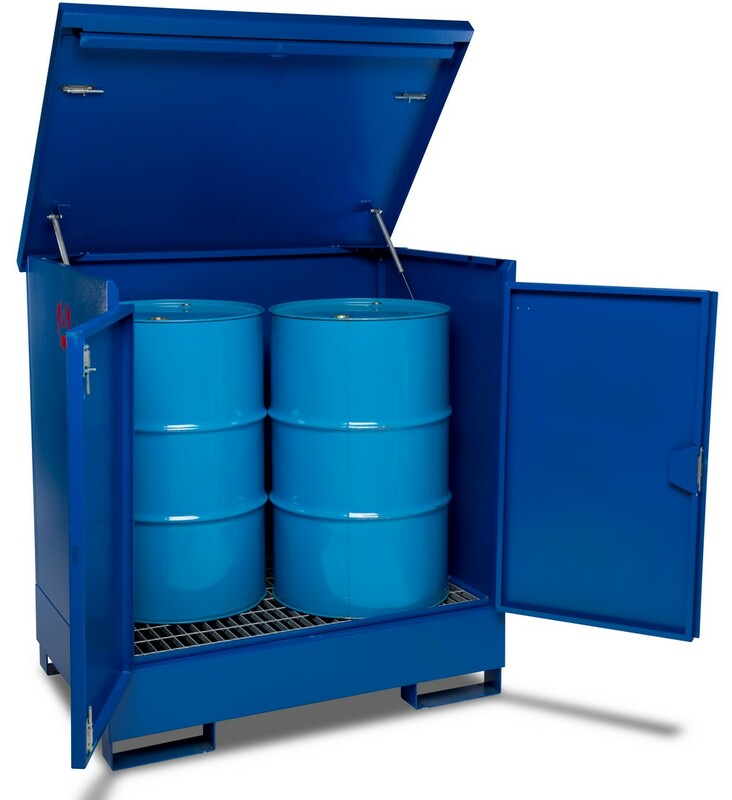 This product fully complies for storing fuels, oils, chemicals and other hazardous items. With fuel theft having increased dramatically over the last few years, this enclosed version can be used to protect high value oils or fuels. The Drumbank comes with a fully welded leak proof sump, raised and removeable galvanised gridded floor. It is built to 30 minute fire resistant specification. For security, the Drumbank has a 5-lever deadlock and is manufactured from robust steel. The product can be easily transported via the forklift skids. Serial numbered for fast key replacement.